CEC Ali Wario vows to revive dying healthy department in Kilifi after the controversial MCAs voting. - Bana Kenya News, Real African Network Tubanane. Home featured CEC Ali Wario vows to revive dying healthy department in Kilifi after the controversial MCAs voting. CEC Ali Wario vows to revive dying healthy department in Kilifi after the controversial MCAs voting. Kilifi county assembly yesterday approved the name of Ali Wario as Health Chief officer following a heated debate with the locals claiming that Wario was not a suitable candidate for that Job. The Kilifi county hospitals are facing more challenges despite the fact that the earlier healthy county assembly committee declined his appointment due to the delicacy of the matter. The County assembly members voted and passed the controversial candidate. Things that the chief officer will focus on the county will be improving the health services and making sure all hospitals have sufficient types of equipment. The service delivery is improved to a better standard and reduce mortality rate due to medics negligence. There has been constant criticism that Mr Ali Wario was unfit for the job because he even does not understand environmental and physical factors affecting health in the county. 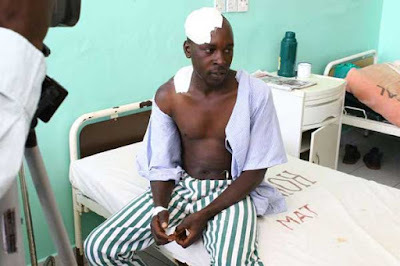 He has little to no experience in the Kilifi county hospitals. The controversial candidate who faces some graft charges in Marsabit county was rejected for the same in his homeland county and later moved to Kilifi county where he is considered to be well connected than the local. Some people think that position was given as a thanksgiving for what we don't know or transpired at the background.